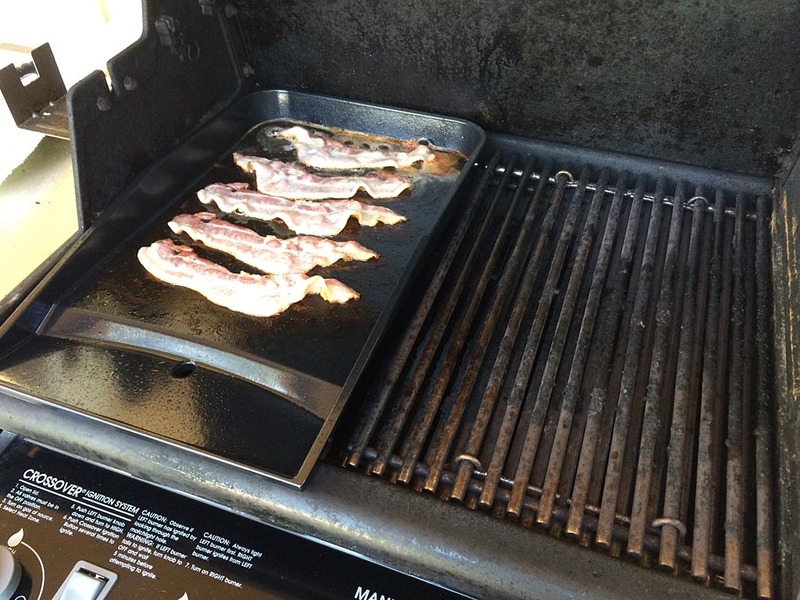 On June 8, I posted about buying a Weber plancha for my Summit gas grill. 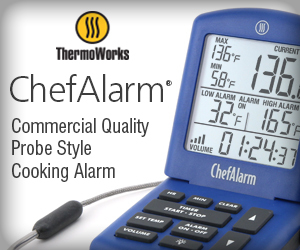 The first thing I cooked using my new toy was bacon cheeseburgers. Yum! 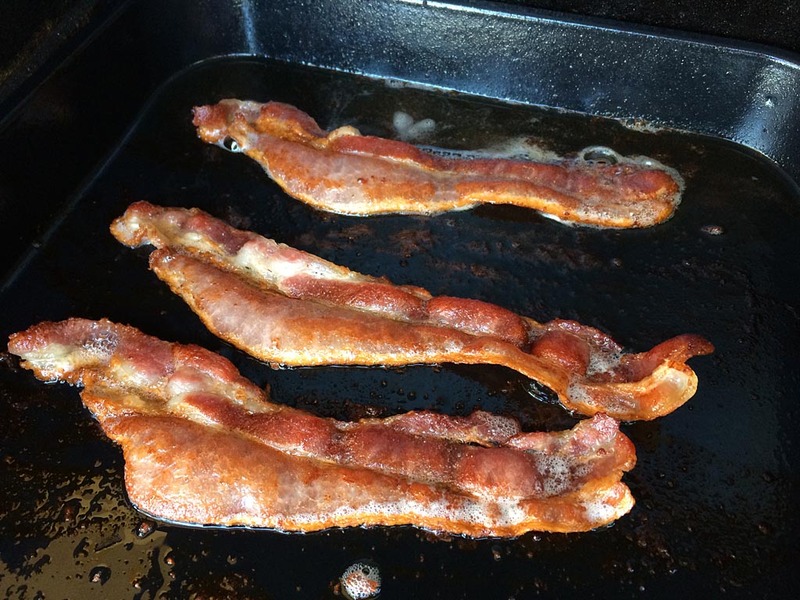 I preheated the plancha for 10 minutes over medium-high heat, then fried-up some thick-sliced bacon over medium heat. Once the bacon was done, I used some long tongs and a wad of paper towels to sweep the bacon fat to the drain. Next I grilled the burgers to medium doneness. A friend recommended that I try Prather Ranch ground beef from the Campbell Farmer’s Market. Very nice meat, but about twice the price of regular ground beef. Not an everyday thing but definitely a nice treat. 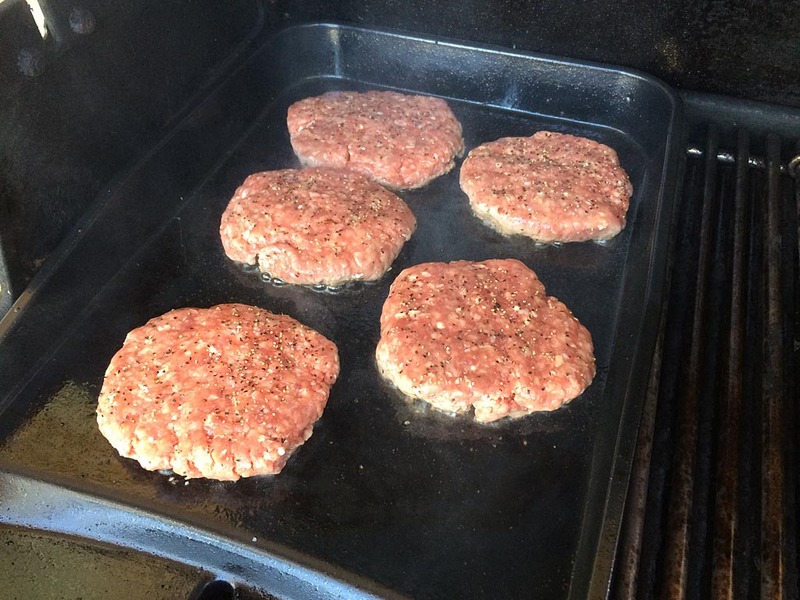 I formed the patties by hand and seasoned both sides generously with kosher salt and coarsely ground black pepper. Got some good crustification on both sides. 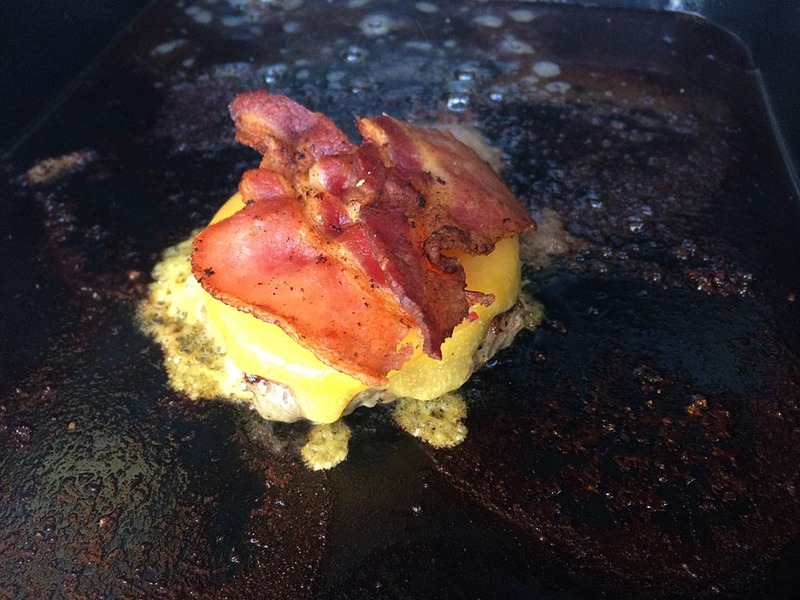 Topped that burger with two slices of Tillamook sharp cheddar cheese and some crispy bacon. Toasted me a bun on the grill and this meaty masterpiece was ready for condiments and my burger hole! 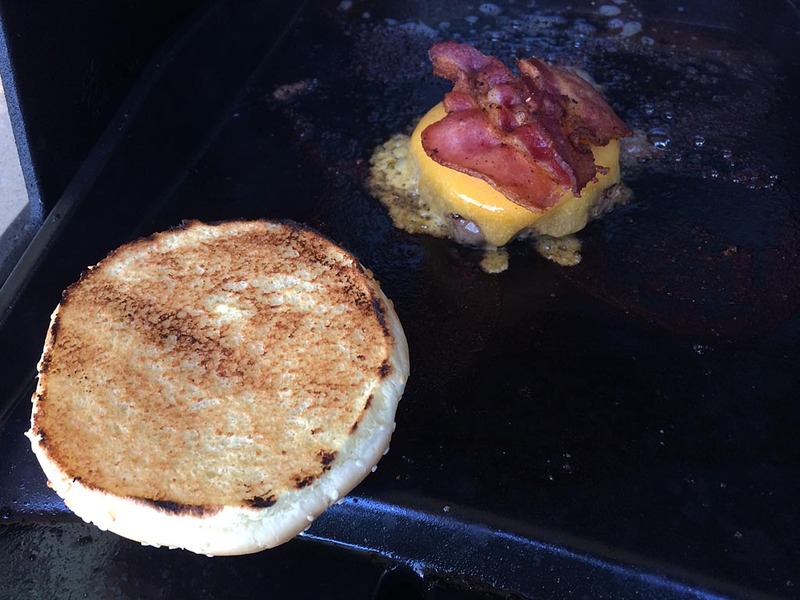 You can see that the plancha did a great job on the bacon and gave me a good crust on the burger. 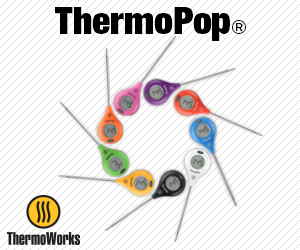 That cast iron construction is the key…it really holds the heat. 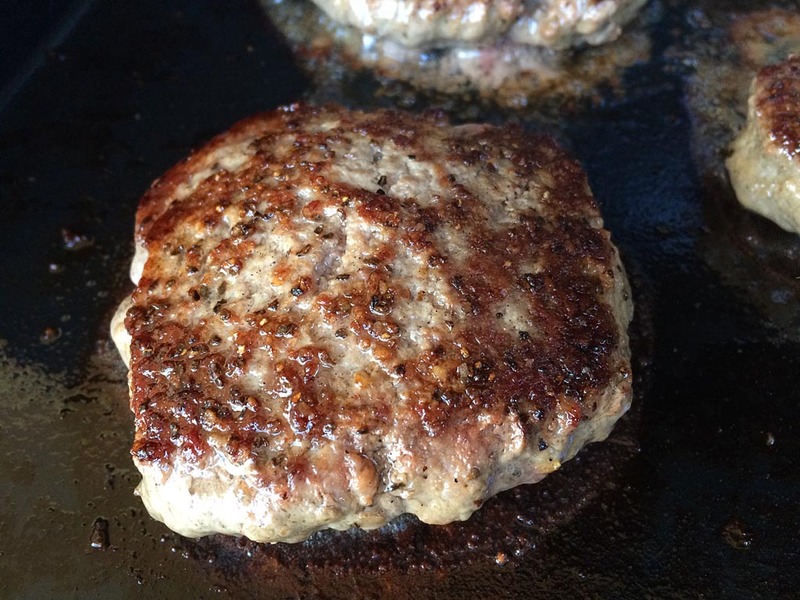 Next time I may try a Weber grill press to see if I can get even more crusty goodness on a plancha burger.